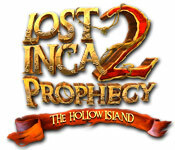 Lost Inca Prophecy 2: The Hollow Island is rated 3.1 out of 5 by 48. 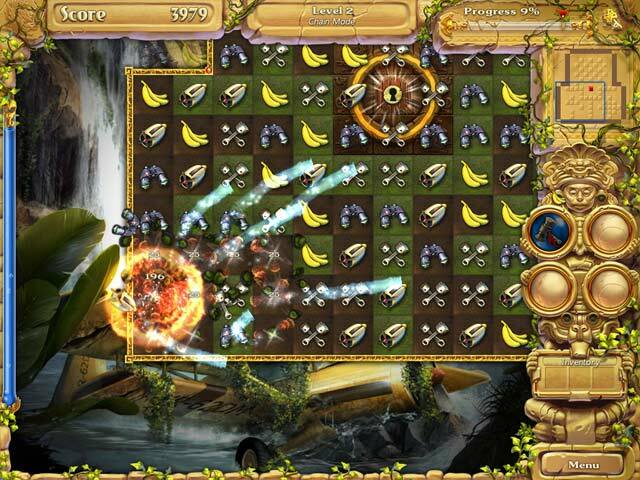 Rated 5 out of 5 by itsmax from Great Match 3 game I am a fan of Match 3 Games and I love this one. Game play is challenging and lots of fun. Hope there will be a version for the iPad 3rd generation very soon. More games like this one please - Match 3 games that are addictive and have an untimed mode. Rated 5 out of 5 by merle15 from Sylvester This is a similar program as Paradise Quest, yet excitingly different. Very challenging. Rated 5 out of 5 by FloridaGirl7264 from Fun Fun Fun! This game is so much fun. You have the option of swap or chain which I thought was great. It does have a timer but once time runs out you are still able to finish the game -- but you do lose a star. There are three stars that you can earn on each level. Some didn't like the floating board, but I found it made the game more challenging. There is a mini map that helps you along the way. The graphics are gorgeous and the storyline is great. All in all, a fabulous game! Rated 5 out of 5 by ecblisa from A great game if you don't mind a moving board This is a "moving board" game, like 4 Elements, in the sense that the board is much larger than the game window, and it will move in the direction you have made your last match. You can play in switch or chain mode. There are (so far) two kinds of mini-games, both fun. Graphics and music are both very good. The game is timed, but the timer only works to give you a star for finishing with time left. It does not end the level. You get one star for finishing the level, one for having time left, and one for breaking 100% of the tiles. You can exit the level after breaking 80% of the tiles, which helps if you have trouble finding the unbroken ones. I found that after 20 or so levels, I often could not get both the "time left" star and the "100% done" star, but then I'm a slow player due to arthritis. Personally, I really enjoy the game, and after 2 hours of play it is quite difficult enough. I know some people will not like the board moving automatically, but I would recommend trying the game for a while even if the first reaction is negative, because most people will get used to it and lose the vertigo-like sense it can give at first. Rated 5 out of 5 by CorinaGh from Great Game! This game is great! I recommend it to everyone who loves match3 games! Rated 5 out of 5 by berrygood from Really fun M3/puzzle/search game. I loved it. This is one of those great games that is well done, not too difficult, and just a fun way to pass some time. It has an interesting, brief storyline that sets up the game that reminded me a little bit of Tomb Raider and Jewel Quest. 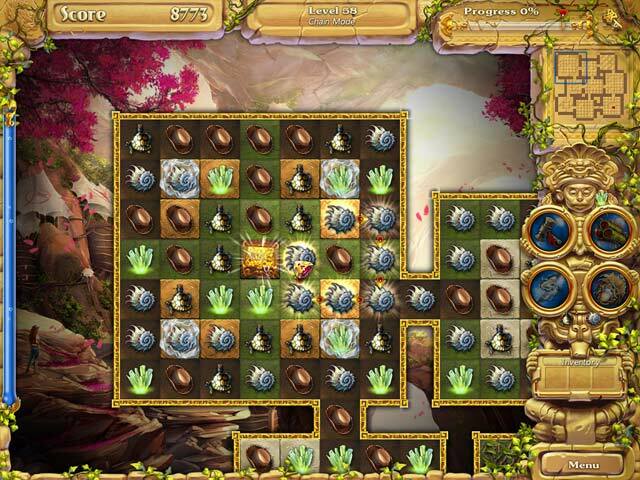 The game itself is a combination of match 3, puzzle, and search. You can play the M3 either by switching tiles or creating groups, and there are other features common to M3 games, like matching 5 tiles activates a "bomb" tile. You have to make a certain number of matches to get the key that unlocks the board (which finishes the round), but what's different about this game is that the board moves as you make matches, so you have to navigate back to the keyhole in order to use the key once you have it. Reminded me of the way the 4 Elements gameboards move. It was fun. There's also a mini-map in the upper right that shows you where you are in relation to the keyhole. The puzzle games are straighforward. 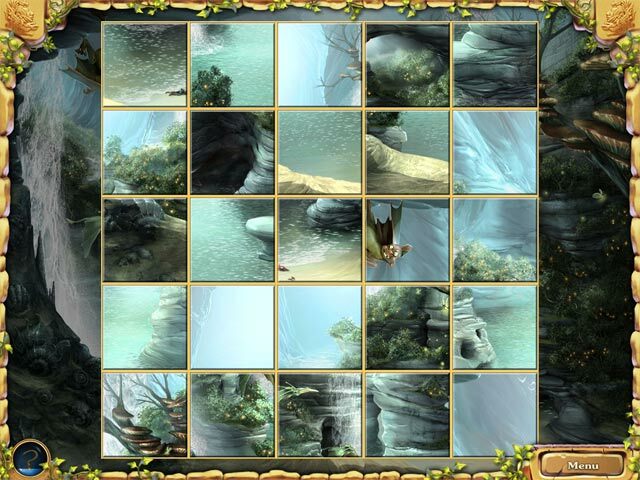 The pieces are out of order and you click to match the right piece in the right spot to complete the picture underneath and in the search game you're shown a small section of the picture and you have to click on where it appears in the bigger picture. I've played other games where these are much more difficult, and really enjoyed being able to find things more quickly. Overall, an enjoyable game to pass the time that has variety, and is not so hard that it gets frustrating. It's a "buy it" for me.